Travelers 5×15: That’s what I did until I ran out of room. 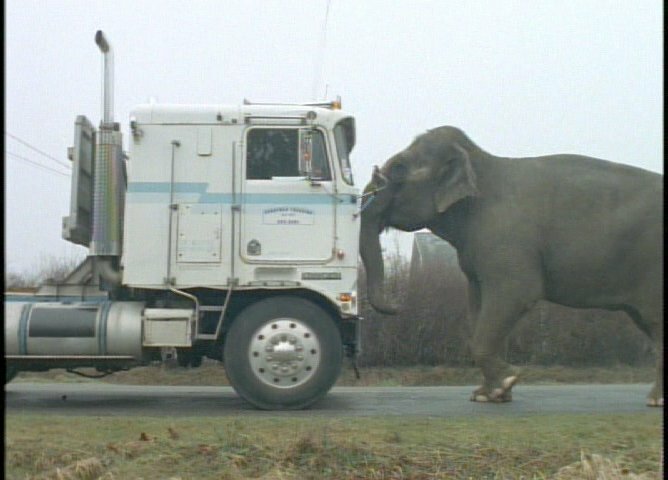 Like when “The Unusual Suspects” (5×1) followed after “Redux II” (5×2), I’m looking for an emotional follow up to the previous drama-heavy mythology episode and instead I’m bereft of Mulder and Scully almost altogether. Only this time, instead of go-to, familiar characters to rely on, we’re given a supporting cast that’s nearly completely new and the weight and responsibility of carrying an hour of one of the most popular shows on television falls on their shoulders. This is an ambitious episode indeed. The opening teaser is one of my favorites in terms of sheer grossness. If they were looking for a way to catch my attention sans Mulder and Scully they found it. And for the record, there is no way, in earth or the world below, that I would kneel down on a cockroach infested floor coated in the grime of a thousand years in order to better inspect a rubber mummy in a tub. In case you wanted to know. 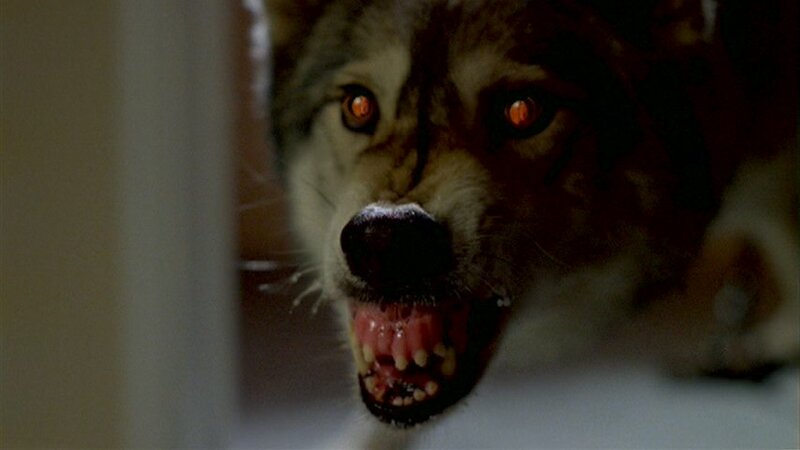 Now on to the meat of the episode… If The X-Files is about anything at all, it’s about distrust of authority. More specifically, it’s about distrust of the government. Imagine if the nation that fed you, that bred you, were actually out to get you. With that in mind that the decision to place this flashback tale within the context of the McCarthy hearings makes a lot of sense. If you trust what you read in the history books, paranoia was running rampant at the time and the American government, in an attempt to control its citizens, found “communists” hiding in every nook and cranny. 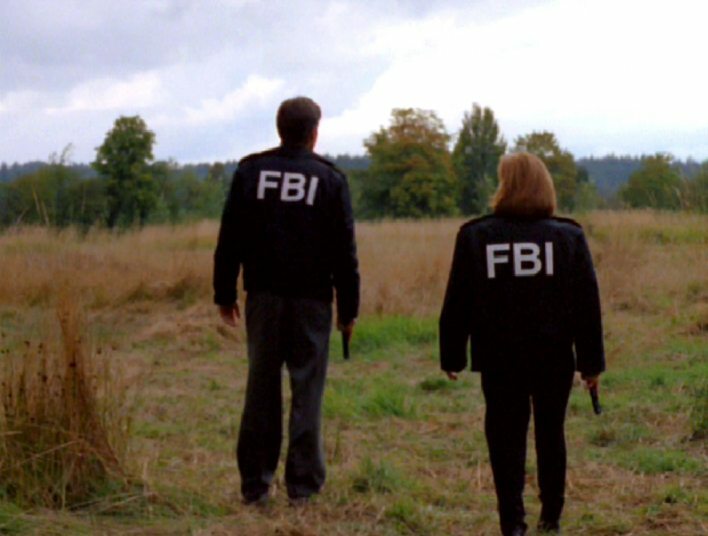 Chris Carter is often quoted as saying, “The X-Files is only as scary as it is real,” and what’s more real than things that have actually happened? It’s why previous episodes like “Paper Clip” (3×2) used real life holocaust atrocities as a base. On the one hand, it’s easy to take a topic like McCarthyism or the House Un-American Activities Committee and use it to vilify the establishment. On the other hand, it fits like a hand in glove with The X-Files’ overall theme of government distrust. The men in charge have no desire to find the truth, they’re about establishing order and control even at the expense of innocent citizens. And what do you know? Even the F.B.I. is complicit. Bringing Agent Mulder, I mean, Agent Mulder Sr. into the mix was a wise choice. (So was using the actor we already knew). Not only to we get more insight into his strained relationship with his son before he was killed but we learn about what kind of man he was. “Travelers” confirms a lot of what’s been hinted at about his character over the years. Here was a man who, though compromised, ultimately had a Jiminy Cricket sized conscience. Too bad that unlike his son, he was unwilling or unable to openly fight for what he believed it. It doesn’t look like he had the courage. But at least we know where Mulder got his subversive streak. Speaking of Mulder, this is the second time this season we’ve seen Mulder in flashback. This time, though, he seems a lot less sure of himself. There’s no swagger like we saw in “The Unusual Suspects”, instead he’s full of nervous ticks… nervous ticks that conveniently display his wedding ring. Oh, David Duchovny, why must you toy with the masses? Word is, the wedding ring was little more than a joke on his part having been recently married in real life to actress Téa Leoni. Joke or not, it caused an uproar online. I have to admit that for my part, I didn’t even notice it. Which just goes to show that my powers of observation are dull and you shouldn’t read a word I type. One of these days I’ll probably get around to making a series of Top 10 lists and when I do, “Travelers” will be on the list of underappreciated episodes. It’s fairly quiet, I know, but I wouldn’t call it boring. Brief though they are, Darren McGavin’s scenes with David Duchovny are a treat, so much so that I wish his character could have been brought back more than once. In fact, I could almost wish that we had one season in flashback a la Nina’s suggestion in her Shipper’s Guide. Arthur Dales’s story and its overlap with the Syndicate’s Shenanigans, not to mention the Mulder family history, could have made for good television… especially if it was paralleled with the X-Files of the future. So, supposedly, Edward Skur & Co. had an actual animal/insect/creature grafted inside of them. But what in the heck kind of species is that? What could kill people in such a fashion? Of all the things the government could do to make Super Soldiers, they attach arachnids to their innards?? Why am I thinking this hard about it anyway? Fredric Lane, who plays the young Arthur Dales, was on Castle last week. That show is a veritable parade of X-Files alumns. There is a string of episodes this season where the narrative is driven by recollection and voiceover. “Redux” (5×2), “Bad Blood” (5×12), “Travelers”, “All Souls” (5×17). By the time we get to “All Souls” it begins to lose its impact. Now we know there’s a reason the X-Files are the “X-Files” other than just that “X” is a cool letter. Arthur Dales: Do you know what an… X-File is? Mulder: It’s uh.. yeah, it’s an unsolved case. Arthur Dales: No. It’s a case that’s been designated… unsolved. Arthur Dales: Have you ever heard of HUAC, Agent Mulder? House Un-American Activities Committee? No, no, no, it was before your time, you wouldn’t know. They hunted Communists in America in the 40’s and 50’s. They found… practically nothing. You think they would have found nothing… unless nothing… was what they wanted to find? Hmm? Mulder: I’m sorry, sir. I, uh, I don’t… I don’t see the connection. Dorothy Bahnsen: But, I recognize one of these names. It’s in an X-File. Dorothy Bahnsen: Yes. Unsolved cases. I file them under “X”. Agent Dales: Why don’t you file them under “U”… for “Unsolved”? Dorothy Bahnsen: That’s what I did until I ran out of room. Plenty of room in the “X’s”. The Calusari 2×21: My grandfather used to take that for his stomach. Once again we start of with a dysfunctional family. (By way of an aside, I once read someone complain that The X-Files is full of unhappy nuclear families and that the only happy ones we see get destroyed. I thumbed my nose at that before, but I’m starting to think whoever wrote that isn’t far off base. I don’t think the show has anything against happy families, but it wouldn’t be frightening if we only saw happy families that stayed happy, would it?) What kind of parents, one might ask, would mindlessly take a balloon from one child and preferentially give it to another? No wonder he becomes something out of The Omen. 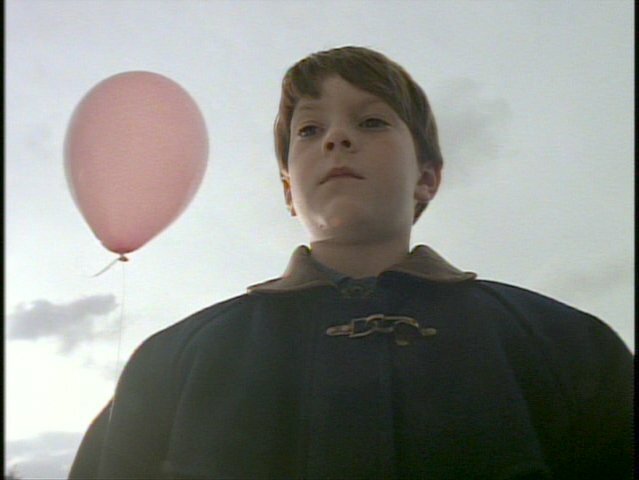 The creepiest part of the episode is that opening teaser: Kid has balloon. Parents give balloon away. Kid wants balloon. Kid gets balloon. As Season 2 progresses, it’s getting easier to recognize subcategories of X-Files. We’ve seen poltergeist tales before. Heck, Season 1 was on ghost overload. Even episodes that ostensibly didn’t involve a ghost like “Space” (1×8), “Born Again” (1×21), and “Roland” (1×22), were just ghost stories called by another name to see if they would smell as sweet. Probably because of that Season 2 has only had one poltergeist plot so far, “Excelsis Dei” (2×11). 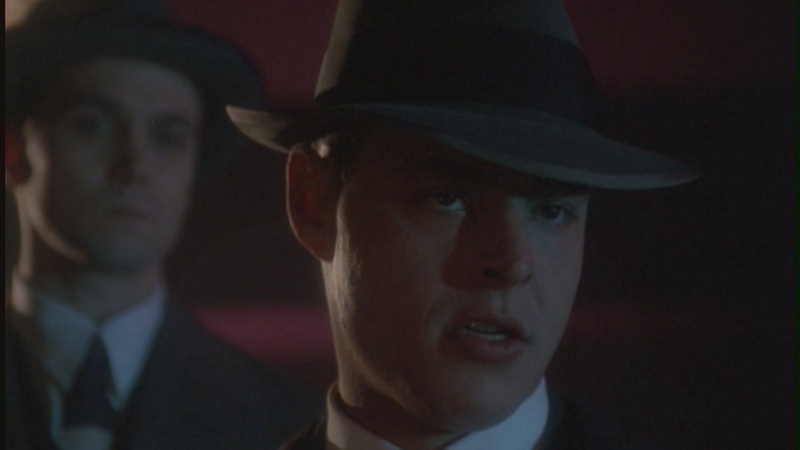 This episode reminds me a lot of “Roland”, not because they’re similar in style or substance but because they have the same basic foundation: twin brothers who can’t truly be divided, even by death. I have to say that “The Calusari” tackles the premise more successfully, mainly because it’s a straight up mini horror flick. It has all the requisite elements of the genre; spooky kid, witch-like old woman, secret rituals, bloody deaths, and, of course, a malignant spirit back from the grave. In fact, out of all the examples I listed above, and a few I didn’t list, this is the most satisfying episode in terms of the fear factor. The fear factor is really all “The Calusari” exists for. This isn’t an introspective character study or story to further the mythology, Mulder and Scully don’t grow either as individuals or in their partnership, there isn’t an underlying message about societal ills or a warning about human hubris. Even “Die Hand Die Verletz” (2×14) had an embedded caution not to play with fire. No, with this one the writers are just trying to freak you out… which isn’t a bad thing. I’m impressed even now at how The X-Files pulls off something of this scale in roughly 43 minutes. To get this kind of a scare you generally have to go to a movie theater and buy an obscenely priced ticket. Since there isn’t too much going on here I don’t have much left to add except for a note about what little characterization we do get to see. As much as I love her, Scully’s arrogance is a somewhat grating in this episode. It is funny in parts. Some of the cracks she gets to make in her scenes with the newly introduced Dr. Chuck Burks are cute. 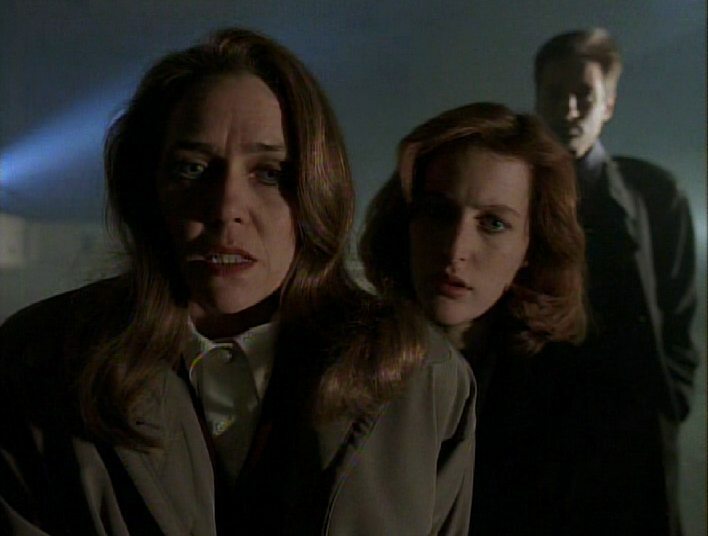 But her usual reactions to Mulder’s theories lack the “eye-rolling” attitude she displays here. Her resistance is all a set up, however, and the payoff is that in the end she finally sees something paranormal happen with her own eyes rather than just hear the tale told later by Mulder. We never do hear her final reaction so who knows whether she explained it all away or whether remembering the events of “Beyond the Sea” (1×12) she ultimately admitted to herself that “ghosties” and “beasties” exist. Not to belabor the point but you really don’t want to look too hard for anything meaningful in this episode. It’s not that deep. It is good, though, for what it is. And if there are still quite a few questions by the end, well, that’s what The X-Files is famous for. Not only that, it wouldn’t be a “horror film” if it made any real sense. If “The Calusari” has a weakness it’s that they threw everything into this episode except their fuzzy slippers. It wasn’t necessary to use every cliché the horror genre has in order to scare folks. Wait. I take that back. They didn’t use every cliché. There were no over-sexualized teenagers killed in the making of this episode. Mulder’s trained in psychology but he’s never heard of Munchausen by Proxy? I realize they have to come up with devices to get information to the audience without obvious exposition, but at least come up with something a little more clever. If we go by what we learn later in the episode, the bratty child in the teaser isn’t necessarily Charlie but his dead brother Michael posing as him. But if that’s the case, who was the poltergeist pulling the balloon? Or if it is Charlie, why so cold? He doesn’t react so dispassionately when his father and grandmother are killed and the nurse attacked. Instead, he pleads with Michael to stop. The 90s projectile vomited all over that house. Mulder: You see this is a helium balloon here, and the one thing I did learn in kindergarten is when you let them go they float up, up and away. But you see this is moving away from him. Horizontally. Chuck: In 1979 I witnessed a guru named Sai Baba create an entire feast out of thin air. Scully: Too bad you didn’t take a picture. You could have run it through your computer and seen the entire Last Supper. Calusari: The evil that is here has always been. It has gone by different names through history. Cain, Lucifer, Hitler. It does not care if it kills one boy or a million men. If you try to stop us the blood will be on your hands.